“A canonical collection, splendidly and sensitively edited by Rudolph Byrd.­”–Henry Louis Gates, Jr.­One of the leading voices of the Harlem Resaissance and a crucial literary figure of his time, James Weldon Johnson was also an editor, songwriter, founding member and leader of the NAACP, and the first African American to hold a diplomatic post as consul to Venezuela and Nicaragua. This comprehensive volume of Johnson’s works includes the seminal novel Autobiography of an Ex-­Colored Man, poems from God’s Trombones, essays on cultural and political topics, selections from Johnson’s autobiography, Along This Way, and two previously unpublished short plays: Do You Believe in Ghosts? and The Engineer. 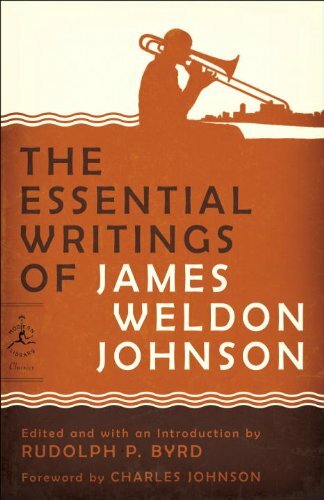 Featuring a chronology, bibliography, and a Foreword by acclaimed author Charles Johnson, this Modern Library edition showcases the tremendous range of James Weldon Johnson’s writings and their considerable influence on American civic and cultural life.­“This collection of poetry, fiction, . . .